Forming a doubtful twilight, desolate and sad. And these her bleeding temples would adorn. As mournfully she bended o'er that sacred well. And in her goings seemed a timid gentle maid. When from the shades came slow a small and plaintive sound! All thoughts but grief and penitence." "Why dost thou weep, thou gentle maid? Can thing so fair repentance need?" In which my bridal robes were dight"
And what those bridal garments were?" Bought with His blood the marriage-ring. And played the foolish wanton's part. To hide from the sun's light my shame. Shall chaunt the ecstatic marriage hymn"
Hard uncouth tasks, and schoolboy's scanty fare. Red leathern belt, and gown of russet blue! O my dear mother! thou dear dead saint! When that same child has proved himself unkind? The little circle of domestic friends. Mistaken, and of man's best hope think scorn. And I may sometimes join its idiot laugh. And in Thy season tender Thou my heart. Greatest and Best, Thy will be ever ours ! WRITTEN A YEAR AFTER THE EVENTS. With which I hung o'er my dead mother's corse? In which I bowed me to my Father's will? Thy servants in far worse, in spiritual death! With which the world has pierced us through and through. And creature-loves. Forgive me, O my Maker! Made black by morning storms! WRITTEN SOON AFTER THE PRECEDING POEM. Have peacefully gone down in full old age! Thy children would have tended thy grey hairs. To memory dear, and of importance grown. How shall we tell them in a stranger's ear? Familiar, whom the heart calls strangers still. A heavy lot hath he, most wretched man! The face of the stranger, and his heart is sick. Man of the world, what canst thou do for him ? And wine no cordial, but a bitter cup. For these were given to the poor in heart. Where friends shall meet, and know each other's face. Say less than this, and say it to the winds. I am a widowed thing, now thou art gone ! Companion, sister, helpmate, counsellor ! Doing all acts of folly, and sin, and shame? In quietness, and die so, fearing God. Our purified spirits find their perfect rest. I loved a love once, fairest among women. I have a friend, a kinder friend has no man. Friend of my bosom, thou more than a brother! Hath been to glory in his pain. And I no longer can complain. I perish now you kind are grown. But for the scorn "was in her eye,"
When she "returns me sigh for sigh"? Are nightly to the portrait sung. Said, "You to all men I prefer." Enslav'd by man, they suffer here! Does cruelty and treach'ry hide. Like Samson's locks, betok'ning strength. When he is press'd by want of food! He makes his prey; such is his force. How small a grate his rage confines! The world itself in which we dwell. Like these wild beasts beset us round. His darlings from the Lion's power. Tend thee the kiss that poisons 'mid caressings. Leave thee a spectacle in rude air swinging"
And banned the ungiving door with lips prophetical. The fair Maria, as a vestal still. And Emma brown, exuberant in talk. With jest, and mad discourse, and bursts of song. That harmonies may be in things unlike! 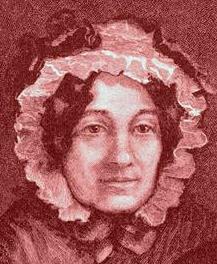 Emma Isola was 21 in 1830. Gambol'd about our house, as in times past. Fond Runagate, be this thy punishment. Their pride grown up to woman's grave estate. "Health, and twice health, to our lost Isola." And richer may be found in every place. In the mind seek thy beauty and thy wealth. Sincereness lodgeth there, the soul's best health. And take my benison, plain-hearted girl.